When he led Jeep, Mike Manley favored short product life cycles. DETROIT — New Fiat Chrysler Automobiles CEO Mike Manley worked at Sergio Marchionne's side for nine years, so he is no stranger to the daunting set of challenges facing the world's seventh-largest automaker. He told investors hours after Marchionne's death was announced July 25 that his mandate is to continue with the five-year business plan that he, Marchionne and other FCA leaders laid out June 1 in Balocco, Italy. Manley said he intended "to deliver the plan as a strong independent FCA, and my team's focus is on that as well." To do that, he will first have some cleanup work to do. "The biggest challenges we face, and frankly we're going to continue to face to some extent for the balance of the year, are all focused in China," Manley said last week. FCA's Asia-Pacific region, which includes China, lost €98 million ($114 million) in the second quarter. Revenues, market share and sales in the region all fell, and the 4.5 percent profit margin the automaker enjoyed in the second quarter a year earlier evaporated. Some of the issues, including tariffs, are outside of Manley's control. Others, such as repositioning the Jeep brand to de-emphasize its American nature, were already being worked on. "I think the other thing that needs work for us is the strength of our dealer network," in China, Manley said. "We're still not where I would like us to be in terms of the strength of our distribution channel, so that is a key target for us." FCA's product lineup in the U.S. is aging. The launch of the redesigned Ram 1500 earlier this year went badly, costing the company $700 million to fix, and full production won't be underway until the fourth quarter, Manley said. To augment the pickup launch, FCA has continued building the old version, now called the Ram 1500 Classic. But keeping the old model around in the Warren Truck Assembly plant, especially at high volumes, could delay the Jeep Grand Wagoneer, which is supposed to be built there next year. Meanwhile, the Dodge Journey, Charger and Challenger and the Chrysler 300 all date back to the DaimlerChrysler era. The ancient Dodge Grand Caravan, resurrected in 2017, continues to outsell the more expensive and newer Chrysler Pacifica minivan in the U.S. In Balocco, Marchionne detailed a plan to electrify the Fiat brand's offerings in Europe but said little about the troubled brand's future in the U.S.
Fiat dealers have suffered as small-car sales have stagnated, while the Chrysler brand has been whittled down to just two vehicles — the Pacifica and 300 — and Dodge is mostly a collection of old platform holdovers. 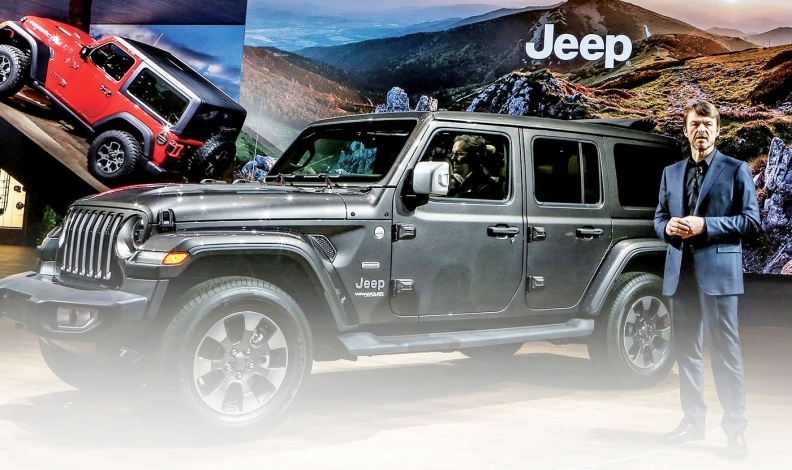 As head of Jeep, Manley has always been a champion of short product life cycles, but with three of his brands in weak positions, he will have decisions to make on whether to reinvest or let them wither away. FCA still has significant legal exposure with the EPA over failing to disclose alleged diesel emissions software on Ram 1500s and Jeep Grand Cherokees. There is an investigation by the Securities and Exchange Commission over FCA's 2016 restatement of sales. And the Justice Department is investigating corruption allegations involving the FCA-UAW Joint Training Center. The automaker also remains under the terms of a consent decree it signed with NHTSA in 2015 over its handling of recall campaigns, and it continues to battle in Europe over its past diesel emissions practices. Any one of these unresolved scandals presents significant legal jeopardy to FCA and potentially even its management team.